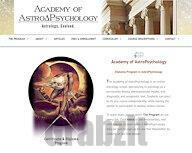 The Academy of AstroPsychology is an online astrology school specializing in astrology as a personality theory, developmental model, and diagnostic and prognostic tool. Students can elect to do any course independently while having the option to participate in weekly online classes. 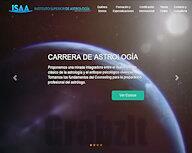 American Federation of Astrologers. 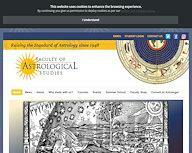 The AFA SuperStar Course has helped thousands learn astrology. And you can complete the entire course at home on your own time at your own pace - either using the course content in a binder or studying online. Learn how to chart your own horoscope and to do them with others - family, friends, coworkers, and even as a professional astrologer. 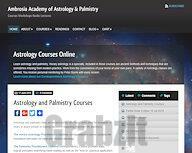 Online courses in traditional astrology with Peter Burns. Learn at your own pace via e-mail and Skype, with instruction from a highly qualified and experienced teacher. Receive a certificate or diploma upon completion. Skolen er godkjent av ISAR og tilbyr profesjonell utdannelse med 2, 3 eller 4-årig studieforløp, samt nettstudie. Klassisk og esoterisk horoskop tolkning. Sterk faglig stab. Landsdekkende undervisningstilbud i Oslo, Bergen, Stavanger og Trondheim. Eğitimimiz Temel Seviye, Orta Seviye, İleri Seviye ve Uzmanlaşma Seviyesi olmak üzere toplam dört yıllıktır. 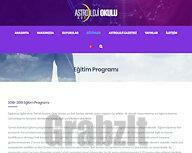 Temel Seviye programlarını tamamlamış olan öğrencilerimizden arzu edenler de Uzmanlaşma sınıflarına programlarına katılabilirler. 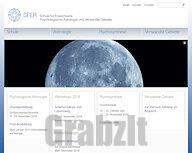 Program Astrološke akademije Stella obsega redni ter izredni program: Izredni program V okviru rednega programa se izvajajo redne celoletne vsebine, ki sestavljajo triletni izobraževalni program šole. V okviru izrednega programa potekajo občasna izredna predavanja, delavnice in seminarji. 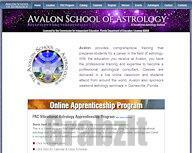 Avalon provides comprehensive training that prepares students for a career in the field of astrology. With the education you receive at Avalon, you have the professional training and expertise to become a professional astrological consultant. Classes are delivered in a live online classroom and students attend from around the world. Avalon also sponsors weekend astrology seminars in Gainesville, Florida. The Faculty was founded in London in 1948, and has an international reputation for excellence in astrological education. Proponemos una mirada integradora entre el marco teórico clásico de la astrología y el enfoque psicológico vivencial aportado por el Centre for Psychological Astrology fundado por Liz Greene y Howard Sasportas, en Londres - Inglaterra. Tomamos los fundamentos del Counseling para la preparación profesional del astrólogo. 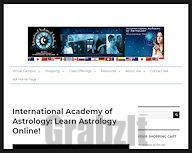 The International Academy of Astrology (formerly Online College of Astrology) provides online astrology classes, astrology certification, free lectures, astrologia en Español, personal horoscope interpretations, astrology books and software, and other special features. Classes are conducted in state-of-the-art online audio-visual facilities. The Institute was founded in July 2005, in Belgrade. 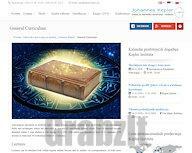 Director of the Institute is Aleksandar Imsiragic, author of many specialist publications in various astrological areas and astrology teacher. More than thousand students attended his school. Traditional horary, electional, and natal astrology. Out-of-print books. 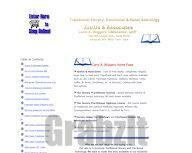 Horary Practitioner Journal, Horary Practitioner Diploma Course, lots more. 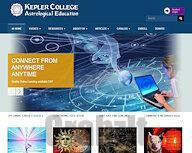 Kepler began as a dream to improve the educational opportunities for astrologers. Originally, this took the form of a 4-year college that included astrological studies embedded in a liberal arts program. The College included specialized study courses to present a survey of techniques from different cultures and different time periods. Many of these courses are now found in our certificate program, which continues to grow and continues to serve our mission of providing an outstanding education for anyone interested in the many facets of astrology. 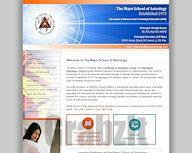 The Mayo School of Astrology offers Certificate and Diploma courses through distance learning, and is recognised as one of the foremost and internationally acclaimed astrology correspondence schools. Established in 1973 by Jeff Mayo the school is based in London, UK and provides online study to students around the world. The Merriman Market Timing Academy (MMTA) is the first in-depth training program ever offered on the subject of financial market timing. This Academy is designed to provide a truly unique and rare opportunity -- a "once in a lifetime" opportunity -- to learn the methodology of market timing as developed by Raymond A. Merriman, Commodities Trading Advisor (C.T.A. 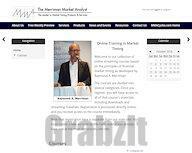 ), and President of the Merriman Market Analyst, Inc., since 1981. The Midwest School of Astrology is a three-level, intensive program designed to teach students the art and science of astrology. 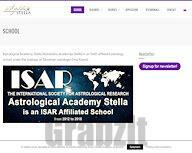 Upon graduation from this school, students will be prepared to take the prestigious ISAR (International Society of Astrological Research) exam or NCGR exam for diploma as a board-recognized astrologer. 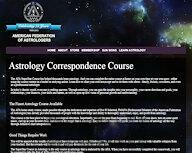 Vedic Astrology Audio Correspondence Course, taught by Dennis Flaherty. Das Wichtigste in Kürze: Dauer der Gesamtausbildung: 3 Jahre; Kurse pro Ausbildungsjahr: 9 Wochenendseminare, dazwischen Hausaufgaben; Seminarzeiten: Samstag 11:00 bis 18:00 Uhr und Sonntag 10:00 bis 17:00 Uhr; Dozenten und Leitungsteam: Sabine Bends und Holger A. L. Faß. Dozentinnen: Klaudia Gebauer und Nicole Müller; Gruppengröße: 10 bis max. 25 Teilnehmer/innen; Ausbildungsort: Köln (Südstadt); Übernachtungsmöglichkeit: vorhanden (Teilnehmer/innen buchen und bezahlen Übernachtungen selbständig); Teilnahme risikofrei ohne feste Vertragsbindung möglich; Wir akzeptieren Bildungsschecks / Bildungsprämien / Bildungsgutscheine; Abschluss: Bei Vorliegen aller Voraussetzungen mit Zertifikat, sonst Teilnahmebescheinigung; Anerkennung: Wir sind anerkannt vom Deutschen Astrologenverband als DAV-Ausbildungszentrum, vom Regierungspräsidenten als Weiterbildungsstätte und von der Arbeitsagentur als berufliche Bildungseinrichtung. 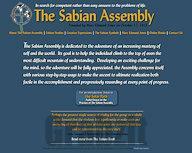 Founded by Marc Edmund Jones in 1923, the Sabian Assembly continues to teach Dr. Jones's principles and philosophy. More than just the astrological Sabian Symbols, the Sabian Assembly embraces and presents an entire philosophy of living. 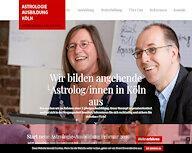 Die Schule für Erwachsene bietet ihren Studentinnen und Studenten qualitativ hoch stehende Aus- und Weiterbildungen in den Bereichen Astrologie und Psychosynthese an. Sie vermittelt international gebräuchliche und bekannte Methoden und Modelle in einer fundierten, wertfreien Art. The QHDC is a two-year correspondence course leading to a thorough understanding of horary astrology. The course was started by Olivia Barclay in 1984 and has students worldwide.